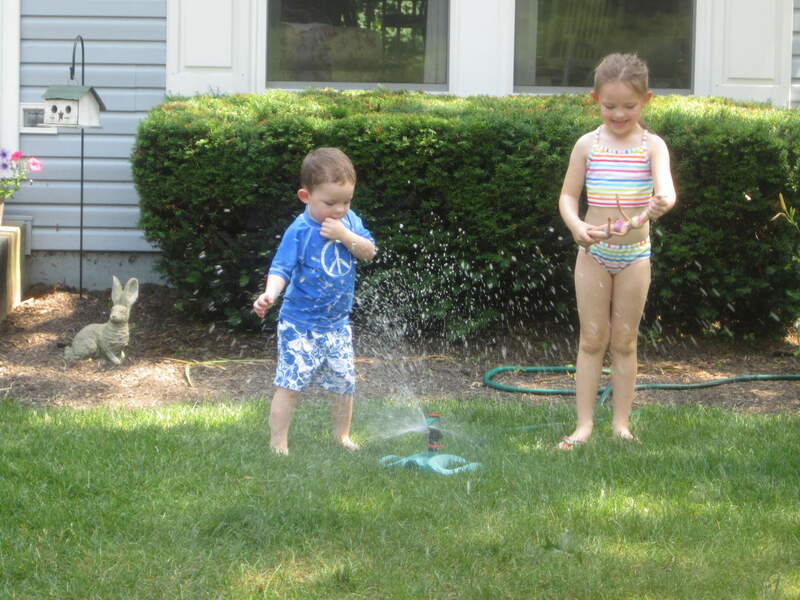 At first, the kids were a little skittish around the sprinkler, but after a few minutes, they figured out that it wasn’t too cold and got right in the spray. 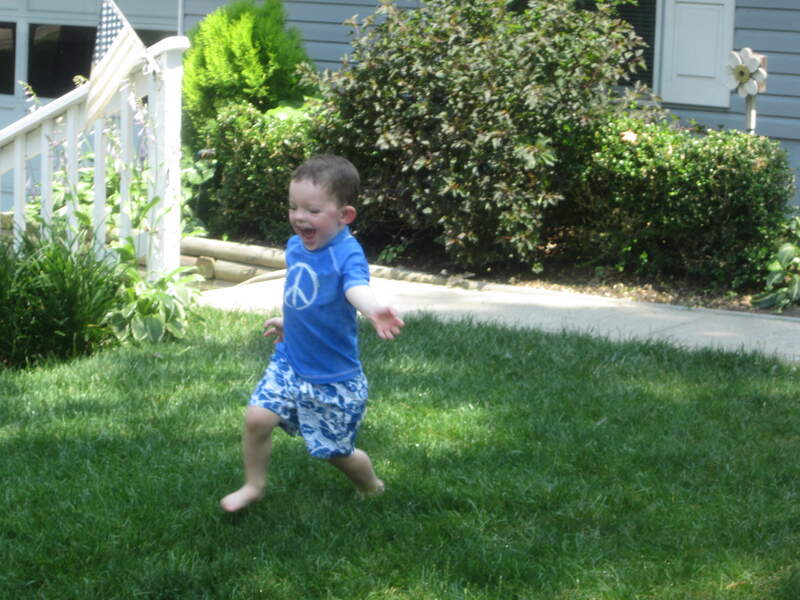 What kind of summer fun did you have today? 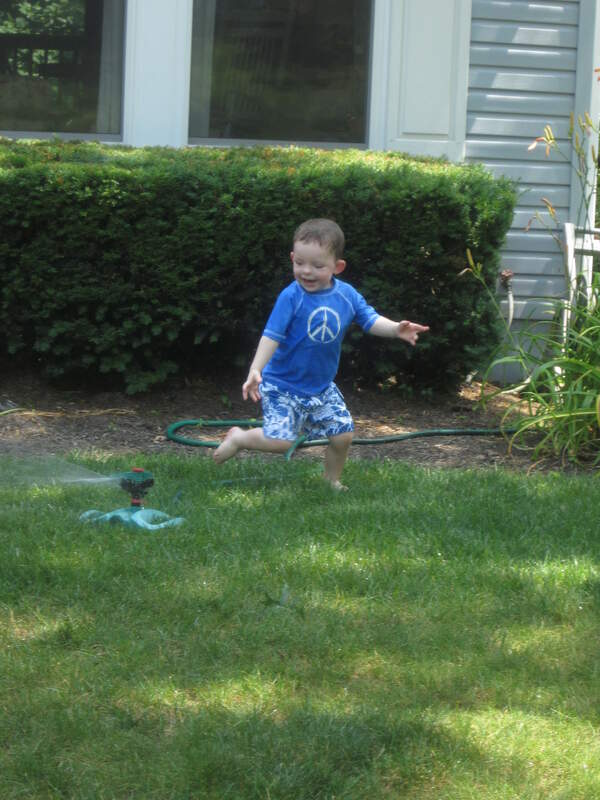 Looks like the sprinkler was a big hit at your home today. We just got up to 75 today and tomorrow it is supposed to rain again. I think it is going to be raining for about a week. 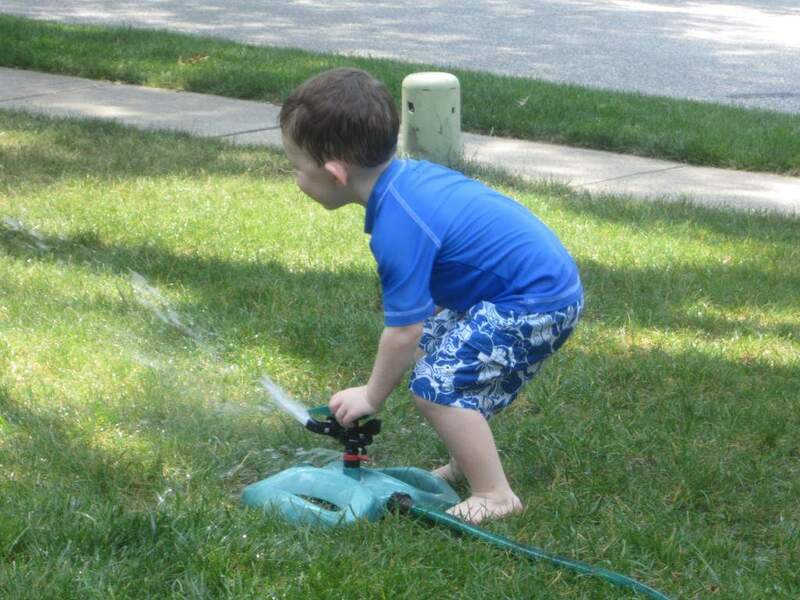 Well at least we won’t have to water the lawn or garden. Today we took advantage of our sunshine and make some solar prints. They turned out pretty well. I also started to make our rhubarb jam. I am hoping to can it tomorrow the recipe I am using is a two day process. We are going to do this too! 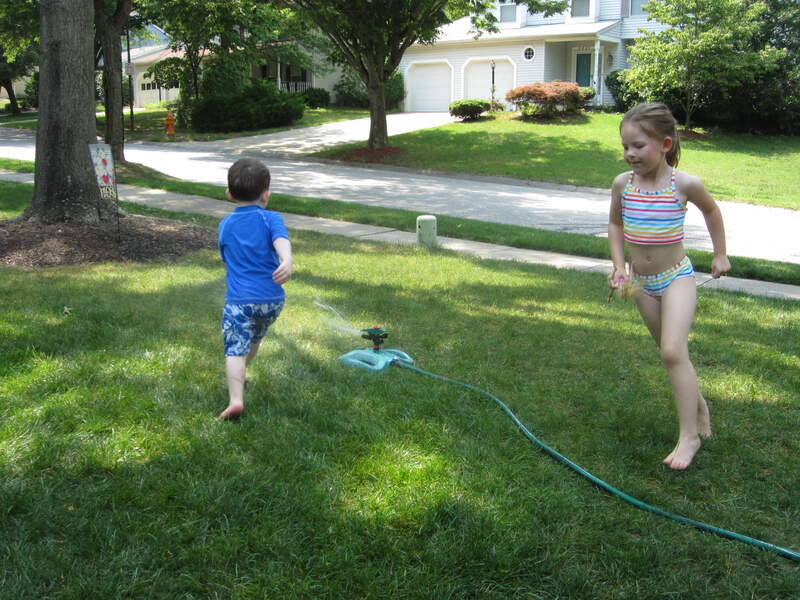 Great way to cool down on a hot day:) Today we will go to the library to sign up for the summer reading program and swimming lessons. Have a great day! I know…same here! 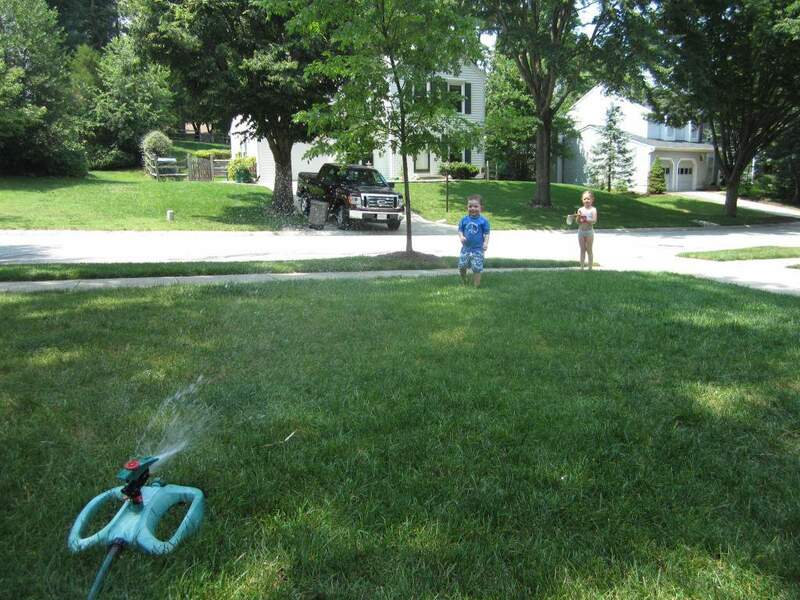 We always ran through the sprinklers in the summer when I was a kid, but didn’t think of it until recently for my kids 🙂 Good old fashioned summertime fun!